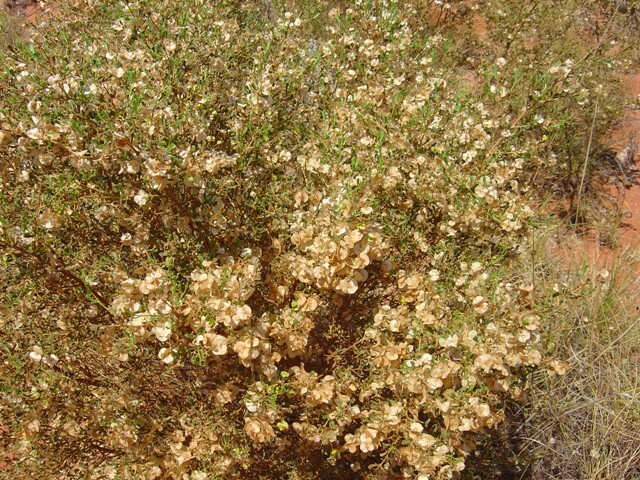 Hop Bush, shrub to 2m with large papery pods when mature. Found throughout Pilbara and Southern Kimberley. This entry was posted in Dodonaea and tagged Dodonaea coriacea. Bookmark the permalink.